INL and ICVS join researchers for "ideas party"
The International Iberian Nanotechnology Laboratory (INL) and the ICVS (Institute of Research in Life Sciences and Health) joined for a new edition of “Hackathon”, an unprecedented initiative that is part of a program created to open channels of communication between researchers from different areas and to generate innovative or even unexpected ideas for the benefit of society. The first edition of the “Hackathon” was held in 2017 and brought together experts from both institutions who randomly formed working groups to discuss ideas and proposals for a full day of joint work together. The group with the best project idea received funding of 20.000€, with a grant of 5.000€ to each of the remaining groups. The “2nd Hackathon” started on September 27th with a kick-off meeting. The main objective of INL and ICVS is to demonstrate how two distinct entities with diverse scientific agendas can make bridges between areas of knowledge that, from the outset, may appear to be difficult to reconcile. The results achieved so far not only prove the opposite but make evident the benefits of joint communication and collaboration between scientists in complementary and multidisciplinary fields. 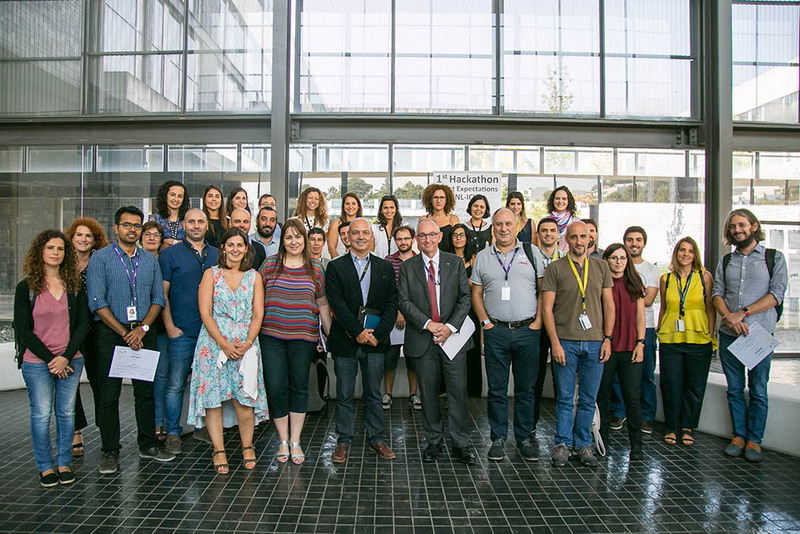 Demonstrating the high potential of this initiative, after the “1st Hackathon”, researchers from INL and ICVS applied for joint projects of the Portuguese Foundation for Science and Technology (FCT), having obtained competitive funding in the global amount of 960.000€, which represents a return of 2400% from the joint investment of 40.000€ made by INL and ICVS. This “party of ideas” has already scheduled future editions, with the challenge of generating innovative ideas that effectively contribute to putting science and technology at the service of health and the well-being of populations.